We are one of the world’s leading translation agency. We have a vast network of 2500 professional translators that are capable of meeting your every need. Our services are also available for you 24 hours a day, every day. In addition, we can offer you telephone translation services. 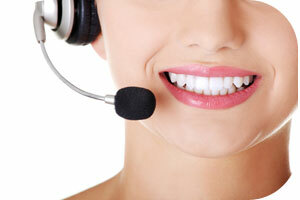 The phone translation services consist in having the possibility of a direct live line with our translators. You can ask any question regarding your document that needs translating or something unrelated. All you need to do is to contact us with a job proposal, and our agents will get in touch with you as soon as possible with an offer. Also, after you assign your documents to us, you are granted access to our online translation service and our telephone translation services. Why Over The Phone Translation Services? Today time is money. We all try to make everything more efficient and less time consuming in order to raise the profitability of our life and our business. We start to look for the best ways of doing business and the fastest ways of resolving problems. As the world moves forward, and we get more connected, we are beginning to need interpreters that will clear up the language differences. With the help of the internet access, you can now buy a laptop, make a dentist appointment and buy airplane tickets to that exotic place you love. Of course, the translator business world has adapted to you and your needs. Now we are closer to you more than ever. With a click away you can contact us, send us the document that you want to translate, schedule telephone translation services meeting and wait for the phone call from us. We will explain every question you have, and our quality translation will exceed your expectations. No more running around, in search of the best translator capable of translating the language you need and meeting your requests. Also, by using our over the phone translation services, you can have access to all the languages available, not just a limited section. Our translators can translate for you: Diplomas, legal transcript, transcripts, financial translations, medical translations, legal translations, professional translations, and many more. The translators are native speakers of the languages in which they have been certified and are capable of translating documents from any language and professional domain you can think of. The quality and quantity of work to be done is not important with our telephone translation services. Even if you are contacting us with a one-page document, or a book that needs translating, your priority is set the moment you have hired us. You are important to us, whether you are a simple person, business client, government agency or hospital patient. Our expert interpreters are here for you 24/7 and can pass any language barrier. We are eagerly waiting for a call from you.